The Airbus Helicopters H.225M Caracal (also named Super Cougar), before called Eurocopter EC.725 Caracal, is a long-range tactical transport military helicopter developed from the Eurocopter AS.532 Cougar for military use. It is a twin-engined helicopter with two pilots and can carry up to 29 seated troops along, depending on customer configuration. The helicopter is marketed for troop transport, casualty evacuation, and combat search and rescue duties, and is similar to the civilian EC.225. Civilian EC.225 is used to transport people and cargo. New helicopter was developed to meet a French Air Force requirement for a specialist helicopter for Combat Search and Rescue operations. The AS.532 A2 Cougar model was examined and rejected for this purpose following extensive trials between 1996 and 1999. The army demanded improvement of the construction. The primary improvements desired by the French Air Force were more powerful engines, greater flight endurance and improved combat durability. Eurocopter opted to pursue development of a more ambitious derivative of the AS.532 to meet this need. The new design has been marked EC.725. The EC.725 was initially named Cougar Mk II+. Key characteristics include a fuel load of 3750 liters/ 990 gallons, giving the helicopter a flight time of 5 hours 30 minutes; plus air-to-air refueling capability, a reinforced main gearbox, a new 5-bladed main rotor, a 4-axis autopilot, a homing system for emergency locator beacons, armor plating, and integrated defenses. The new aircraft featured new mission equipment and autonomous avionics. On 27 November 2000, the first EC.725 prototype performed its maiden flight at Marignane. Marignane is a town in France on the Mediterranean. On 15 January 2001, the first public presentation of the new helicopter took place. In concurrent development of the military-orientated EC.725, Eurocopter also developed a civil-orientated counterpart, which was designated as the EC.225. 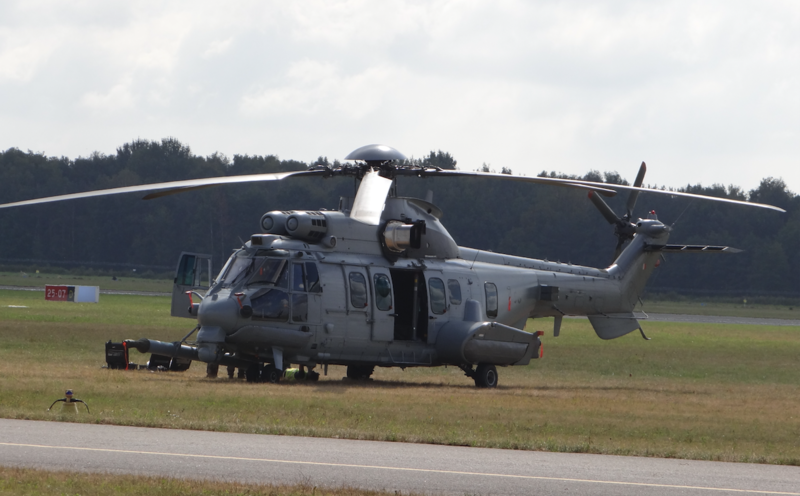 The French Air Force ordered an initial six EC725s to perform the Combat Search & Rescue mission. The cost of 15 million Euros per unit. The first helicopter was delivered in February 2005. A follow-on order for eight EC.725s was placed for the French Armed Forces in November 2002. The helicopter was ordered by: France, Brazil, Indonesia, Kazakhstan, Kuwait, Malaysia, Singapore, Mexico, Thailand and India. Operators of the EC.725 (beyond the French Air Force and Navy) include the Brazilian Air Force, Navy, Army and government, the Kazakhstan Air Force, the Indonesia Air Force, the Royal Saudi Air Force, the Royal Malaysian Air Force and the Mexican Air Force. Roughly 30 are in service. The H.225M, was being manufactured on two separate production lines in France and Brazil. H.725 - Series Designation under Airbus Helicopters brand label. 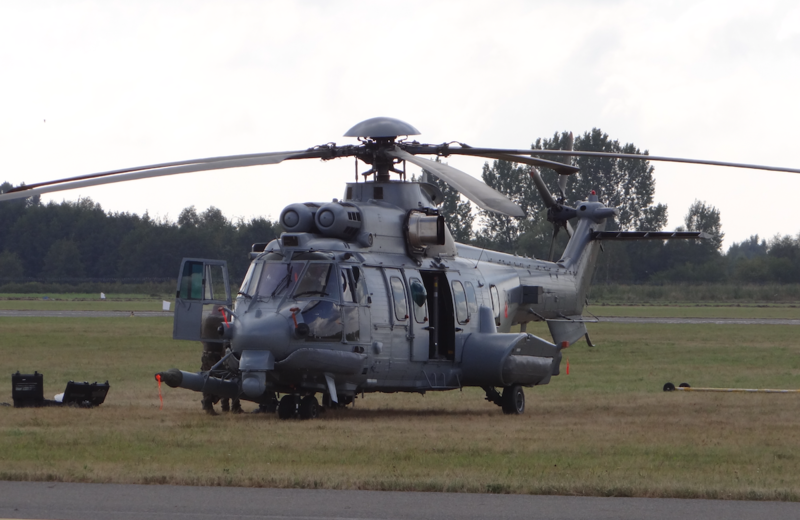 EC.725 "Caracal" ("Super Cougar") - Base Series Designation under Eurocopter brand label; base troop transport. EC.725 VIP - VIP transport with seating for up to 12. EC.725 MEDEVAC - Medical Evacuation Model with room for 12 x stretchers and 4 medical attendants. EC.725 SAR - Search and Rescue variant outfitted with applicable recovery equipment. In 2017, the French Ministry of Defense announced that over 75% of Caracal helicopters are grounded. Why? Their repair is too expensive. The more the four-year cost of their repair has doubled. In spring 2012, the Ministry of National Defense announced a tender for new helicopters. Declared the purchase of 26 machines. The Ministry of Defense decided to purchase one platform in three varieties: transport, anti-submarine (ZOP) and search and rescue (CSAR). In September 2012, Prime Minister Donald Tusk announced that not 26 machines will be purchased for the armed forces, but as many as 70 helicopters. Only in February 2013, the Armament Inspectorate on its website informed about the correction of the proceedings. Even then, it was known that the winner is the Airbus Caracal helicopter. For the tender, in addition to the consortium "Program EC.725 Caracal Polska" composed of: Airbus Helicopters, Heli Invest Sp. 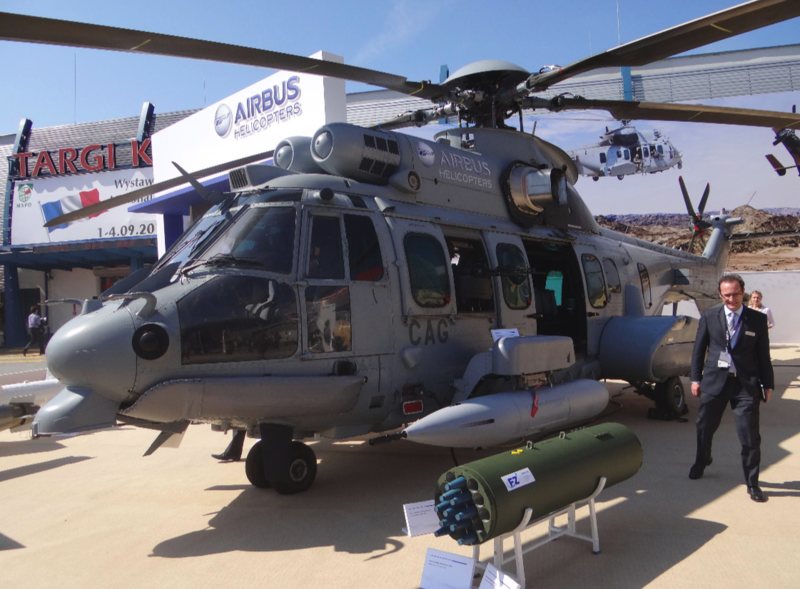 z o.o., offering the EC.725 / H.225 Caracal helicopter, two further platforms were offered: a consortium comprising: Sikorsky Intermational Operations Inc., Sikorsky Aircraft Corporation, Polskie Zakłady Lotnicze Sp. 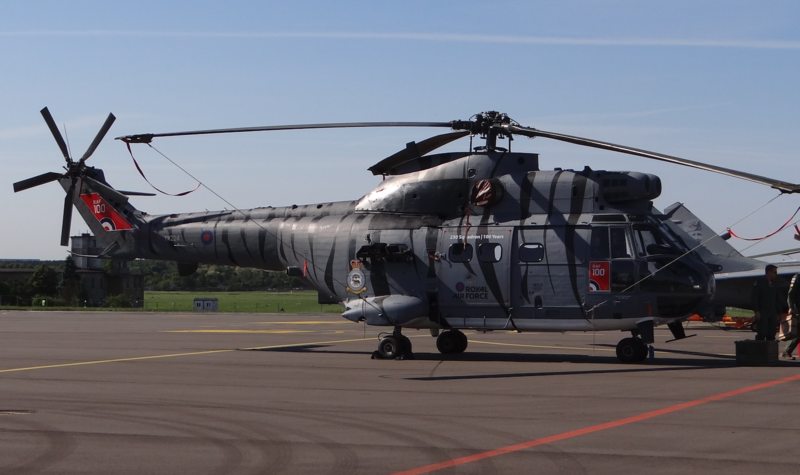 z o. o., offering S-70i Black Hawk helicopters and S-70B Seahawk helicopters produced in Poland, as well as PZL-Świdnik S.A. Communication Equipment Plant, offering helicopters AW.149. The mystery, the tactical and technical requirements (WTT) remained, which were written for the needs of the tender. They haven’t been formally disclosed. At the same time, the sale of the aviation sector in Poland was under way. Helicopter production plants have been sold. On March 16, 2007, 100% of shares in Polskie Zakładów Lotnicze Sp. z o.o. was bought from ARP S.A. by United Technologies Holdings S. A. (UTH), a United Technologies Corporation (UTC). As part of the UTC group, the UTC group - Sikorsky Aircraft Corporation undertook direct cooperation with PZL Mielec. 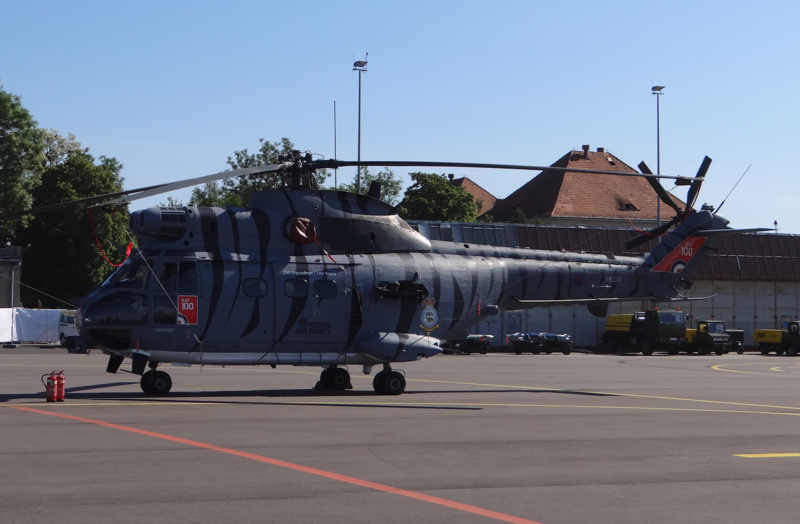 In 2010, WSK PZL Świdnik S.A. they were finally acquired by the AgustaWestland group, belonging to the Finmeccanica holding company, and now Leonardo. After the selection of the Caracal helicopter, it turned out that helicopter was very expensive, and only 50 could be bought for 13.4 billion zlotys. Offset negotiations didn’t end with an agreement. On October 4, 2016, the Polish Government announced the decision to resign from acquiring Caracal multirole helicopters.